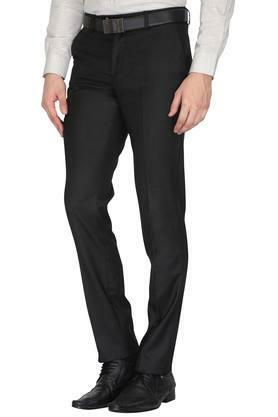 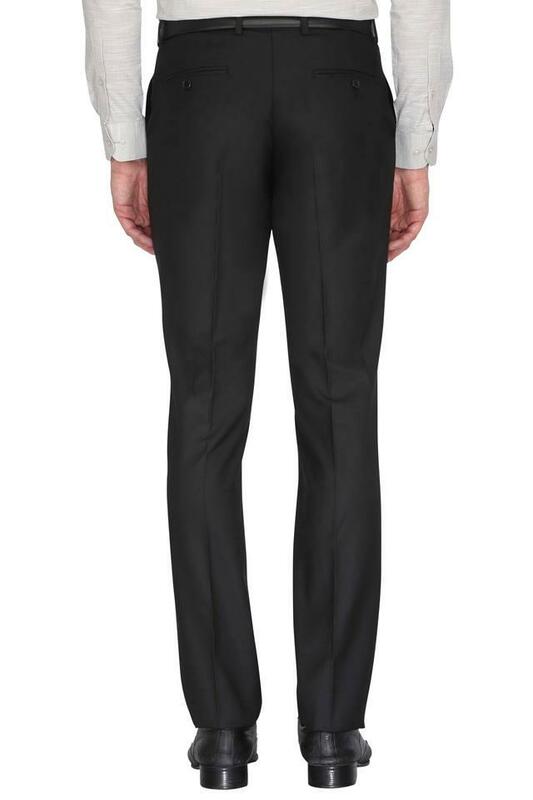 Add style to your everyday staples with this pair of formal trousers from Stop. 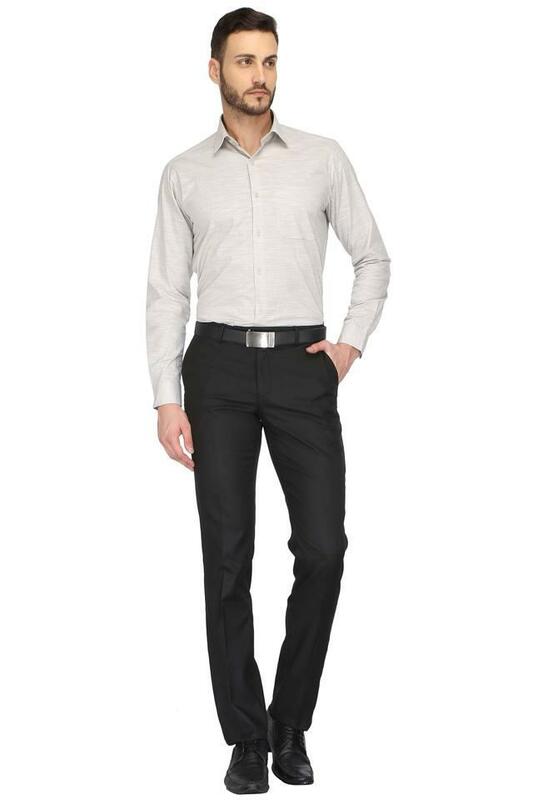 It features a solid pattern along with a phenomenal fit makes your look stylish. 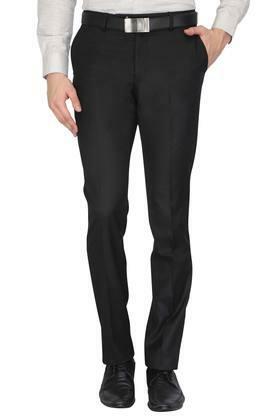 Hook up with comfort and roll with time as you adorn it fashioned using good quality fabric which ensures optimum comfort to you. Transform your smart casual collection with the addition of this pair of formal trousers. Team it with a printed shirt and formal shoes to flaunt a smart look.